Yes, you guessed it, another new high profile smartphone has been released into various markets, which of course means that there has to be a speed test to see exactly how it performs. We are of course talking about Samsung’s Galaxy Note 7, but rather than putting it head-to-head against a device like Apple’s iPhone 6s Plus, we are talking about a speed test that sees the U.S. version (Snapdragon 820) of Samsung’s latest phablet compared against its European (Exynos) counterpart. Same manufacturer, same model, but different processors. On paper specifications are a funny thing when it comes to smartphones and tablets. We’ve historically been privy to multiple speed tests that put two devices head-to-head in a series of tests against one another where there should be a clear winner if the specifications are anything to go by. However, in a lot of those tests, the exact opposite has happened, and that’s largely been due to the highly tuned marriage of hardware and software that manages to get the most out of what appears to be an inferior device, at least on paper. This time around however we see both versions of Samsung’s new Galaxy Note 7 and put them head-to-head in a series of tests that involves running an identical set of apps across a variety of types and categories. The test is designed to see exactly how each device launches and loads content within an app, and how efficiently the hardware and software combination uses things like multitasking and hold apps in state to offer quicker load times on second launch. 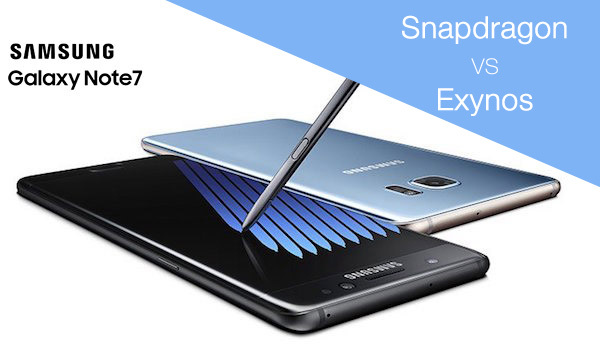 For anyone who has witnessed speed tests of Samsung’s hardware in the past, it probably won’t come as surprise to learn that the Exynos-based international version of the Galaxy Note 7 finished both laps of the test 22 seconds faster than its US Snapdragon-based counterpart. It’s important to note that this test isn’t exactly highly scientific, and doesn’t necessarily translate to the experience actual device owners will have as it’s very unusual to be constantly launching and closing apps on a timer. It is still however very interesting to see that there is such a big performance difference between two Note 7 models intended for different markets. There is APP for it automatically, it is call disco mark. This new benchmark is used by anandtech to describe why 820sd note7 not very special, it was slower comparing to Chinese cheaper phones. Redmi note 3 pro sd625, mi5 820sd, oneplus 820sd, and Huawei mate 8 performs better than this pricier Samsung. You should compare which one explodes sooner. you really would not expect the galaxy note to run faster than a one plus 3 or half of these other devices which have half the features . i dont think it is anything to do with the processor mate , apparently it is faulty batteries . Samsung is planning for a world Note 7 recall. You do realize that benchmark is used for disk performance, right? I think all performance including memory, background processes multitasking cpu for daily basis multitasking. “DiscoMark tests your phone’s performance based on the launch-times of your applications”. Yes, Powerful NAND memory storage will help a lot the launch times like SSD comparing to HDD.